Located in the jewel of Palm Beach County. Palm Beach Crew's mission is to successfully provide the equipment, facilities, and opportunities for our members to participate in competitive and recreational rowing events throughout the region. We promote high school and collegiate rowing in the area and are a consortium of multiple schools. At the end of the day, it’s all about having a good time out on the water. Come join Palm Beach Crew and see for yourself! We are a 501 (c)(3) non-profit rowing club rooted in the desire to share the joys of learning to row by teaching young people to build healthy minds and bodies through the personal and physical challenge of team sport. Our program includes U23 and Junior Rowing, which is collegiate as well as high school varsity and novice class athletes. Successful rowers develop a deep practical understanding of the power of teamwork. They will understand that even individual success requires a strong team around them. Rowers learn a kind of mental discipline that strengthens them in any endeavor they may undertake. First of all, why row? Rowing is the ultimate sport because it provides a plethora of college scholarships, builds strength, endurance, and character, and is a lot safer than other sports offered by schools. According to a website, The College Solution*, crew gives the most scholarships in both D1 and D2 divisions of any sport (more scholarships than men's football). Rowing is a popular sport in the Northeast region of the United States, and colleges will look favorably upon a student by seeing that they row. On the other hand, rowing is a sport that teaches dedication, strength and character through hard work. Rowing is a safe sport for people that are trying to avoid life long injuries, like concussions which are quite frequent in sports such as football. Rowing is without debate one of the best all-around sports. Palm Beach Crew is the premier rowing club of Palm Beach County. We are a competitive boys and girls team with novice and varsity levels, and we are the home of Palm Beach Atlantic University Crew. Palm Beach Crew's community is tightly-knit with parents and rowers that all get along with one another. Since we are a newer team, our equipment is new and at the top of the line. Our fleet of rowing shells are from the best companies in the sport. Two of our boats were rowed at the 2016 Rio Olympic Trials. Palm Beach Crew is one of the few teams in the state of Florida that specialize in sweep rowing and sculling. We row everything from singles to eights. We have been extremely successful in both of those categories during our fall and spring seasons. Our head coach is a 2-time US National Team Coach and we are beyond grateful to have her on our coaching staff. 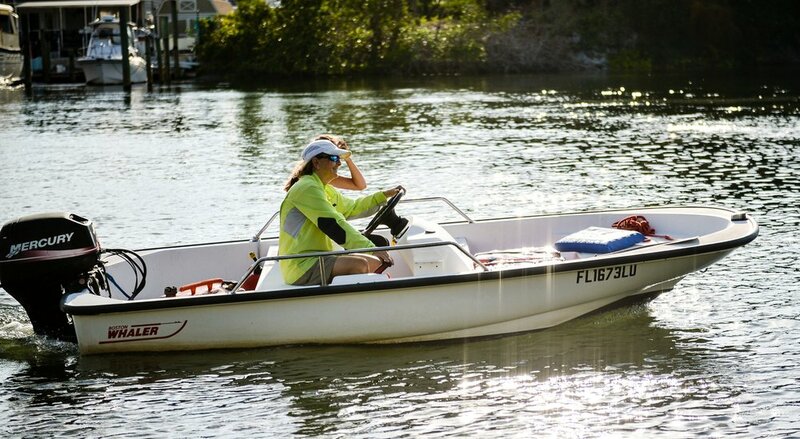 Palm Beach Crew is proud to offer our accomplished rowing experience to anyone who has an interest in rowing. If you are interested, please click the button below. At Palm Beach Crew you will be coached by the best of the best. 2004-08: Book writing and research, United States Naval Academy. 2003: Research work awarded at the International Olympic Committee Museum, Lausanne, Switzerland. Assistant Coach Casey Hubbard attend Florida Atlantic University in Jupiter, FL. Our assistant coach, Casey Hubbard, joined Palm Beach Crew in 2017. Previous to her career at Palm Beach Crew, Casey rowed at Edgewater High School Crew in Orlando, FL. During her high school rowing career, she received the prestigious CJ Hodge's Award, which is Edgewater's Rower of the Year award. Casey is an experienced rower and rows both sweep and scull. She has competed at the Scholastic Nationals regatta, where she added championship pedigree to her resume. Her expertise and expierience allows our rowers to succeed in the sport of rowing. Palm Beach Crew was founded solely by donations and sponsorships, and will continue to be that way in order to keep the club intact. In the sport of rowing, fundraising, donations, and other sources of capital are extremely important- especially for a new team. Palm Beach Crew luckily has a close network of local and global companies that want to donate in order to keep the team's success rolling. We are beyond grateful for the generosity given by our sponsors.